Back pain caused by poor posture often affects older adults. This is because using improper posture for a few days or weeks is unlikely to lead to significant back pain. Over time, however, the cumulative effects of improper posture can accelerate the degenerative changes of the spine. This can lead to chronic back pain. Poor posture is especially likely to affect the cervical region of the spine, which includes the neck. Many people slouch forward while working at a computer or reading a book, often without realizing it. Over time, this simple issue can turn into a major problem. 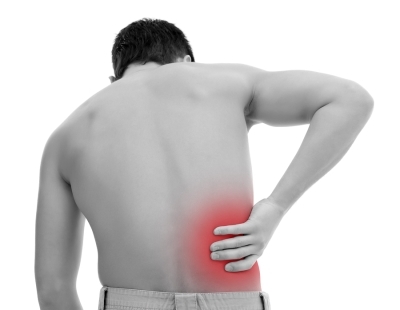 Acute back pain, which occurs suddenly, is often the result of muscle strain. Muscle strain can be minor or severe, and it usually resolves within a few days. You may have heard the expression, “thrown out the back.” This typically refers to severe pain caused by a muscle strain or spasm. It’s often the result of lifting or carrying a heavy object improperly. The intervertebral discs are cushion-like structures located between the spinal bones, which are called vertebrae. The discs are made up of a tough exterior wall and a softer inner material. Disc herniation occurs when a tear in the exterior wall allows the inner material to protrude outward. The displaced disc material might touch or press against a nerve, which can result in back pain. Disc herniation is often the result of the degenerative changes that occur over time. With age, the discs lose water content, and become less flexible and more susceptible to damage. Poor posture accelerates this process, along with other risk factors like smoking. In some cases, disc herniation is caused by sudden trauma, such as a car accident, football collision, or fall from an elevated position.